This post was originally published in September of 2015. It has since been updated. Let’s take a moment to talk about file and folder naming conventions. While not explicitly part of your approval workflow, your files are the coal fueling your approval locomotive. Files go in, projects move forward. To keep things running smoothly, it’s important that everyone can find the right files quickly and easily. Everyone organizes their work somehow, and some are more systematic about it than others. But formalizing a standard file and naming convention for your team’s content means that everyone has a common language to use when referring to files and their locations. Additionally, everyone knows where files are kept and how to find the most recent version – which can be a lifesaver when somebody’s out of pocket and you need a piece of content. So what’s the best way to organize your files and folders? We’ll delve into how to ensure your naming elements are descriptive and consistent in another post. After you’ve identified which elements are important to communicate in the names of your files and folders, you’ll want to determine how best to group your content, and what the hierarchy of those groupings should be. For example, if you’re at an agency the highest level of organization will likely be by client – so for each client you’ll create a folder with the client’s name. Within those folders you may have groupings by content medium (web, print, email, etc. 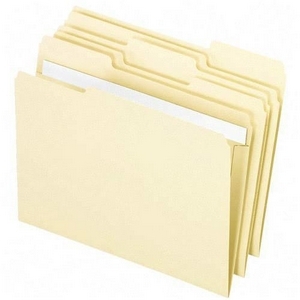 ), within those folders you may have additional folders organized by project title (for web you may have website, blog, landing pages), and within those folders you might have files or folders listed by date (April blog posts, May blog posts). So if you’re looking for an April blog post for to send the client, it’s in Client Name/Web/Blog/May. When you’ve completed work on a project, consider keeping all of the final files in a single, zipped file at the top of the project hierarchy. You may already be doing that to send to the client, and it’s helpful to be able to look back and find the final versions of content without digging through multiple sub folders. What are some tactics you use for naming your files and folders?